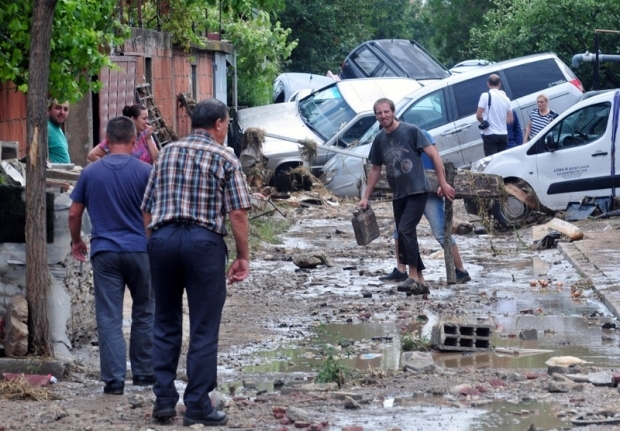 Nearly two dozen people were killed and dozens more were injured when torrential rains triggered flash floods in the capital of Macedonia, the Red Cross said Sunday. Government spokesman Aleksandar Gjorgiev told The Associated Press a state of emergency had been declared for two weeks in the most affected areas, which included the capital of Skopje, the city of Tetovo and surrounding suburbs. The Red Cross reported that 22 people were killed, more than 60 people were injured and four were still missing after the floods destroyed hundreds of homes and wiped out electricity. More than 1,000 people were evacuated from their houses, according to the Red Cross. After a meeting of the National Crisis Management Center, Health Minister Nikola Todorov said many of the injured had fractures and contusions. The European Commission said more than 20 inches of rain fell in parts of Skopje within two and a half hours, washing through homes and sweeping cars off roads. I think we are too late!